Mayor Catherine E. Pugh and City Council President Bernard C. “Jack” Young joined Baltimore City Department of Public Works (DPW) and its partners, the Chesapeake Water Environment Association (CWEA) and Mayor’s Office of Employment Development (MOED), to celebrate the 4th class of YH2O water mentoring program graduates. The event was held on Friday, Nov. 30 at City Hall. Nine (9) young adults have successfully completed 6 months of training to prepare for entry-level jobs in the water industry. This ground-breaking 4-year-old City program, formerly the Youth Water Mentoring Program, has led to employment in entry level jobs for over 50 residents, ages 18 through 24. 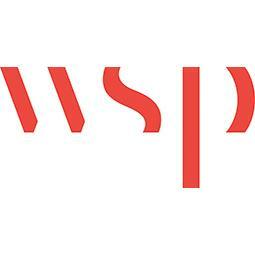 The program has become a national model for other cities and public and private utilities. 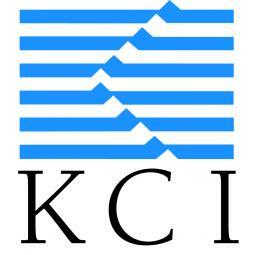 Several utilities have inquired about the program. Several have already adopted the program in Texas, Mississippi and North Carolina. DPW Director Rudolph S. Chow, P.E., said, “The program meets a need in the water industry as seasoned workers leave or retire. YH2O creates a pipeline of future workers who have the skills the industry needs.” He added that having other cities adopt the program will help secure the future of water industry jobs, and at the same time provide young adults with a skill. The program recently received the Water Environment Foundation’s (WEF) Public Communication and Outreach Program award. 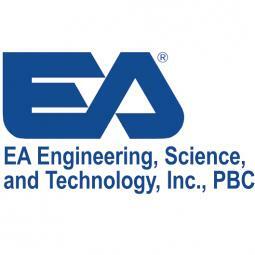 Participants all receive full-time jobs, some at DPW and others at public or private companies. 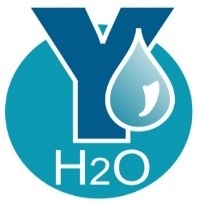 We are now seeing YH2O participants from prior years who are continuing to advance their training and education, some have already received promotions and others have gained additional industry certifications. Launched with its first mentoring class in the 2015, the YH20 program provides on-the-job-training and support from water industry veterans. Program training includes opportunities to explore careers in the water industry; worksite tours, job shadowing and connection with a career coach/mentor. YH2O graduates get a summer job at DPW and opportunities to interview for full-time, entry-level positions with DPW or private companies. To date, the program has graduated over 50 young men and women and they have all gone on to be hired in the industry. This year’s grads will work for DPW. What is the CWEA - Baltimore Water Mentoring Program? The program includes career exploration, worksite tours, job-shadowing experiences, connection with a career coach, and summer job opportunities through YouthWorks -- all tied to the water industry. At the completion of the program, participants should be well-prepared to apply for entry-level positions with water industry employers. The 2018 YH2O program is open to Baltimore City residents between the ages of 18 and 24 who have their high school diploma or GED, are unemployed or underemployed, and are not currently engaged in post-secondary education or job training. There is no cost involved for participants; goal is (20) participants in Phase I and (15) participants in Phases II and III. Driver’s license are preferred, but not required. Most activities are held at the MOED Youth Services headquarters at 101 W. 24th Street, Baltimore, MD 21218. There are also field trips and job-shadowing opportunities. This is a six -month program, divided into three phases. Recruitment and interviews for the 2018 program will be held in January 2018. Programming will begin in February, 2018 and run through August, 2018. 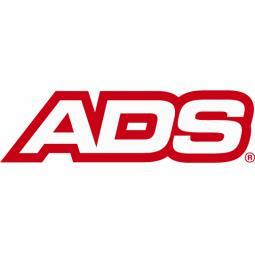 This program began as a pilot in 2015. 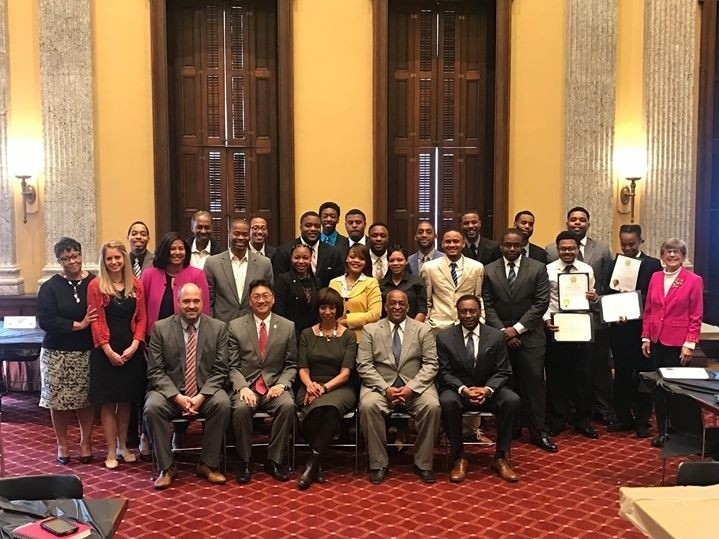 To date, 41 Baltimore City residents between the ages of 18-24 have completed the Baltimore City Water Industry Youth Career Mentoring Program and are employed in full-time jobs within the water industry. 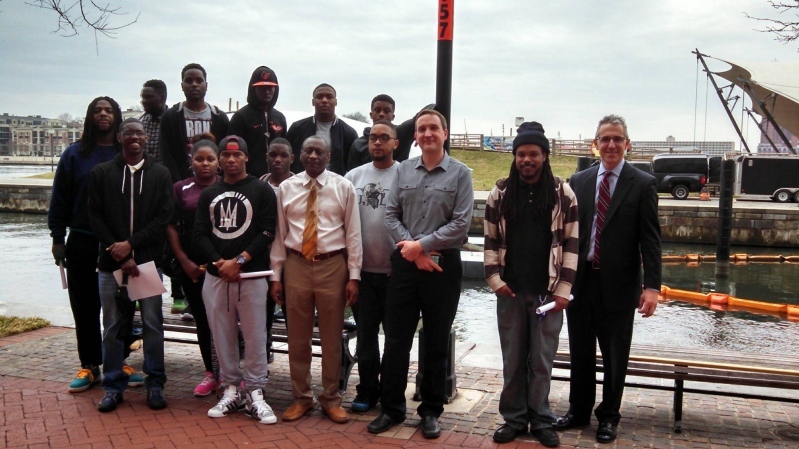 Baltimore training youths for jobs in the water industry. Not long ago, Robert Dorsey was working a low-wage job and struggling to make ends meet. He was skinny, he said, because food often cost too much. He had no car. And he grew even more worried about paying the bills once he found out his girlfriend was pregnant. Then he spotted a flier that promised a career he had not considered. 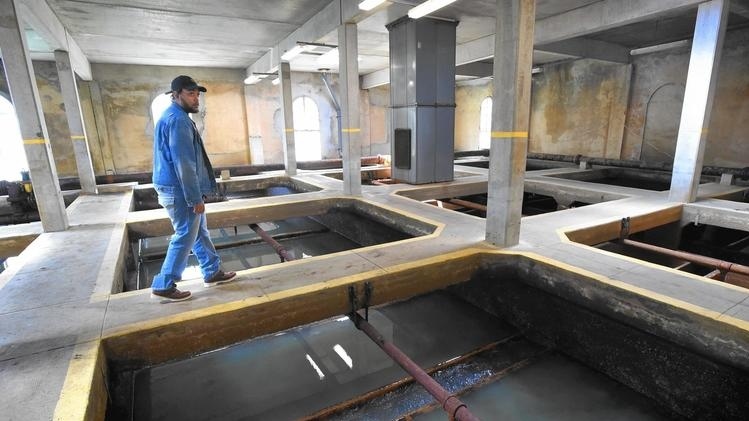 "Working in the water industry is something I never even imagined," Dorsey said recently at the Montebello Filtration Plant, where he now works, filtering the water used by people in Baltimore and the surrounding counties. "This is where 1.8 million people are served," he said. "This is a field that isn't going anywhere. 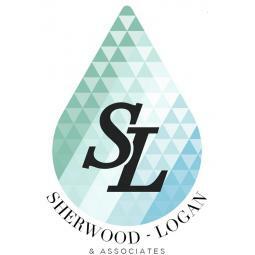 Everybody needs clean drinking water." 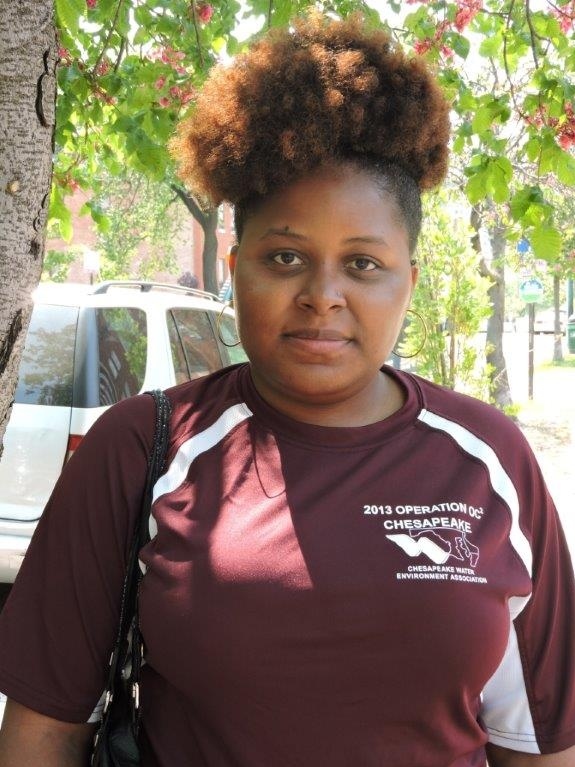 Dorsey, 26, is one of more than two dozen graduates of the Baltimore City Water Industry Career Mentoring Program, which, in its third year, aims to train young people for careers in Baltimore's Department of Public Works or similar private sector jobs. The idea is to solve two of Baltimore's biggest problems — joblessness and polluted waterways. Officials said the Mayor's Office of Employment Development developed the program to address the retirement of seasoned workers in the water industry and a shortage of trained workers to replace them. Jobs to be filled range from working on pipes and upgrading sewage infrastructure to fixing erroneous water bills. Youths receive six months of mentoring and a chance to earn a career in the industry. The program is open to Baltimore residents between the ages of 18 and 24 who have a high school diploma or GED, are unemployed or underemployed — meaning they have jobs with low wages and little chance for career advancement. Mayor Catherine Pugh said the program lets Baltimore "take the lead in training the next generation of workers in the water profession." The mentoring program includes job-readiness training, introduction to different jobs in the water industry, job shadowing, work with a career coach, and a placement in the city's summer jobs program, called YouthWorks. Participants then interview for full-time jobs that typically start at around $30,000 a year. 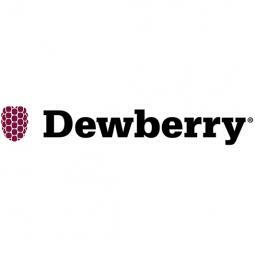 The new employees are put on a path that often leads to salary increases, a department spokesman said. "It's a way for people who aren't college-savvy to get a trade that you can do with your hands and still help out and contribute," Dorsey said. "If this opportunity hadn't presented itself, I would have been doing a lot of job-hopping." Jobs to be filled range from working on pipes to fixing erroneous water bills. Youths receive six months of mentoring and a chance to earn a career in the industry. Ernest Dorsey, no relation to Robert, is youth services manager in the Mayor's Office of Employment Development. He said the Chesapeake Water Environment Association approached the city about creating a training program for local workers. Officials launched the program in 2015. "The Chesapeake Water Environment Association came to us and said, 'We have a need,'" he said. "We listened to what their needs were and we crafted a program that would expose young people to a career leading to employment. "You shouldn't craft a program just to train people and then have them go home. You have to make sure there are employee opportunities at the end of the road." 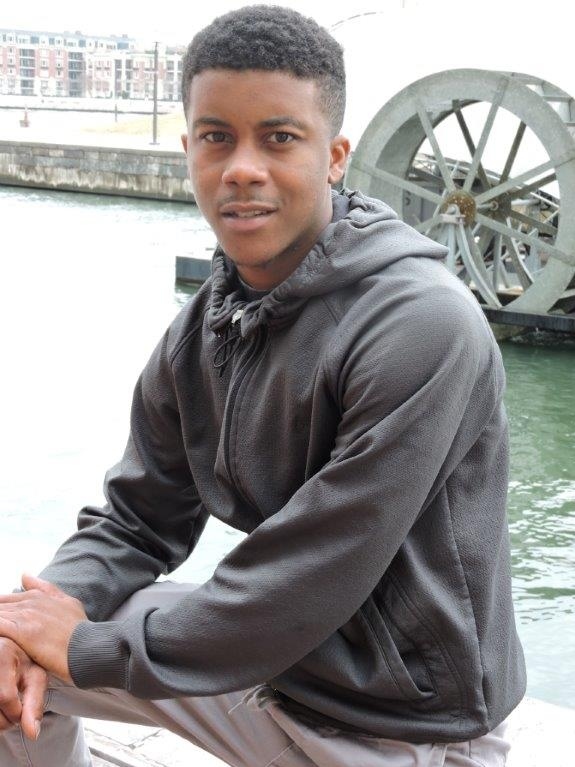 Charles Allen, 24, completed the program and landed work as a water meter technician. If an older cousin hadn't encouraged him to apply, he said, he'd likely be "in and out of school, working two or three jobs." "I thought I needed to do something better with my life," he said. "Nothing but good things have come from this." Allen and other young men credit city internship coordinator Anthony L. Greene, who runs the training program, with being key to their success. "Mr. Greene is the glue that bridges from YouthWorks to DPW," he said. Greene drills into the young workers the basics of success in a career: Showing up early, working hard, being responsible. "I stayed on their butts. I rode them a little bit," Greene said. "These young men and women are now actually on a fast track. 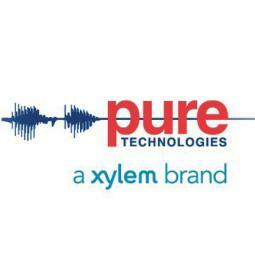 They're leapfrogging employees who are older than them." 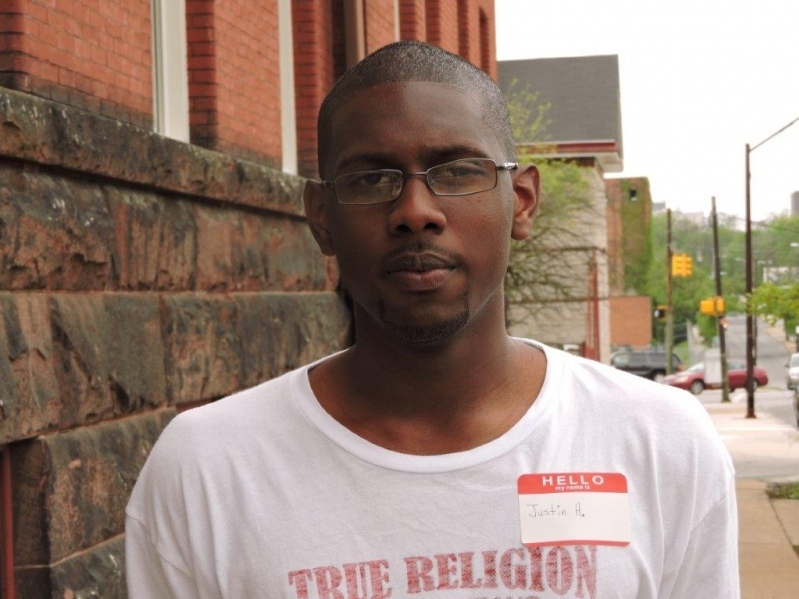 Greene recalled teaching a class during the first year of the program on April 27, 2015 — the day Freddie Gray was buried, and the city erupted in riots. Greene told the trainees they were welcome to go home early. But all chose to stay and continue learning, he said. "Phones started going off. One young man said 'Mr. Greene they're rioting up at Mondawmin,'" Greene said. "But they didn't want to leave early. They wanted to stay out of all that." City Council members praised the program, and said it should be expanded to more city agencies. Each agency, they said, should have job training and apprenticeships to make sure Baltimore residents are landing jobs. "I ask the question of every city agency: Do you have an apprenticeship program?" Council Vice President Sharon Greeen Middleton said. "I've had that conversation with the mayor and she's very much interested. We're trying to find as many jobs in the private sector and government to help our youth be career-focused." City Council President Bernard C. "Jack" Young said the career mentoring program "should be expanded to every city agency." "We've been pressing all city agencies to develop similar programs," he said. "Not everybody's going to college. 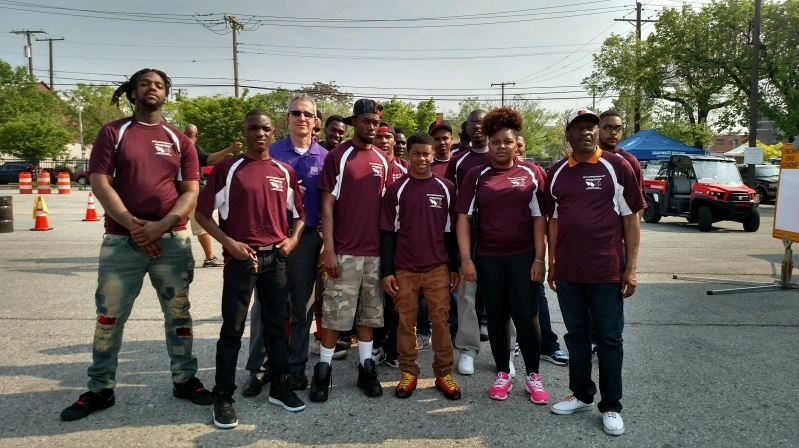 We want them to get trained and get employed by the City of Baltimore." The program's worked well for Dorsey. The extra money means he can eat better, and afford a car. "I'm doing good. I gained weight," he said. "When I first started here, I was walking to work. I drive to work now." 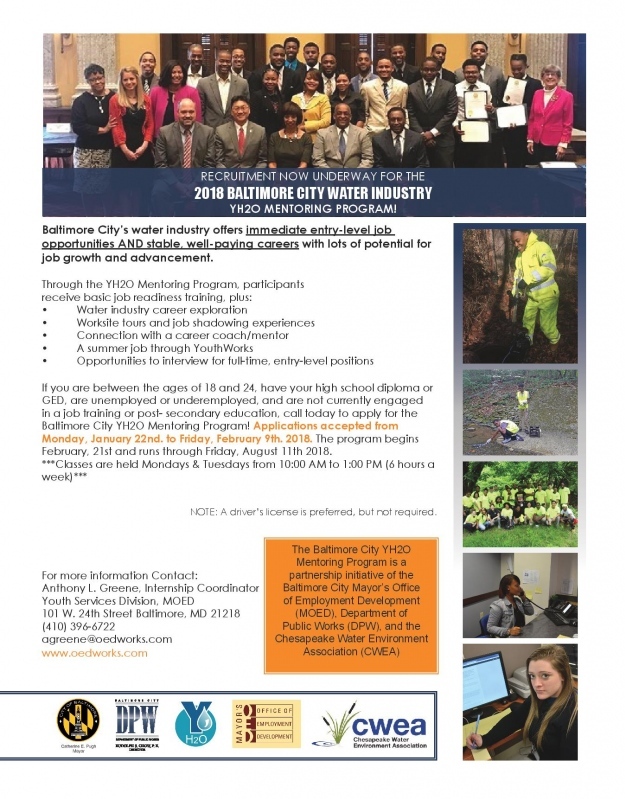 In January, the Chesapeake Water Environment Association teamed up with the Baltimore City Mayor's Office of Employment Development (MOED), Department of Public Works, and Big Brothers/Big Sisters to expose young Baltimore City residents to career opportunities within the water/wastewater industry and prepare them for entry-level job openings. This effort exposes young residents to our widely overlooked industry and provides mentoring opportunities for a successful future career. Over the past six months, 15 young men and women have participated in this program. These individuals were selected from a large group of young residents that applied for the opportunity. They have proven themselves to be motivated, dedicated and responsible individuals. They are all high school graduates between the ages of 17 and 24. After several weeks of job readiness training, they have learned about many different facets of the water industry and long-term career opportunities. They were not compensated for their six hours-per-week commitment to the program during this time. 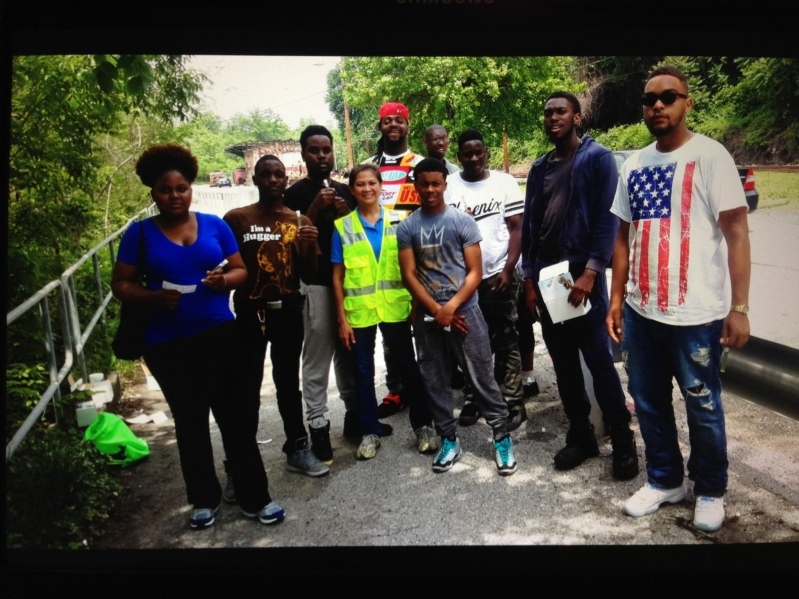 As of June 8, 2015, they all currently have paid summer jobs with Baltimore City DPW. They have also been working with career mentors - professionals within the water industry - who have talked with them about their skills and interests, answered their work-related questions, and have made themselves available as references. These 15 young people have held up their end of the deal...now it's our turn. If you are currently recruiting for entry-level positions, or if you will have some openings in the near future and would like to meet these well-qualified candidates, please join us. 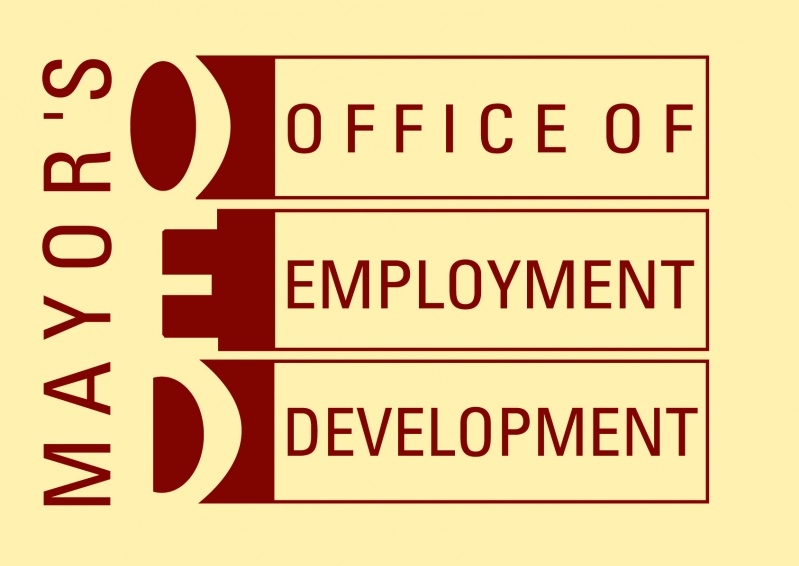 For companies recruiting for specific positions, MOED will prearrange one-on-one interviews with any candidates whose skills and interests match your needs. There will also be opportunities for more informal conversations, so companies and candidates can share information and learn about each other. Please confirm your attendance by contacting Anthony Greene at 410-396-6722 or agreene@oedworks.com. Thank you for your time, and I look forward to seeing you at the hiring event and job fair. Tuesday, May 19th the Baltimore City Water Industry Career Mentoring Program visited the Jones Falls Waterway to take water samples of the stream. The field trip was conducted by Cece Nquyen. Cece also spoke with the group about the various endless opportunities available in the water industry. Monday, May 11th and Tuesday, May 12th participants in the Baltimore City Water Industry Career Mentoring Program went on a 2-day Job Shadow blitz. All 16 program participants were assigned to several DPW departments around the city and CWEA partner (John Fletcher of Dukes Roots Control) provided group tour job shadowing experiences at various locations throughout Baltimore City and Baltimore County. John Fletcher showed the group participants the procedures of lining water mains lines, how to flush out the sewer lines and the importance of how the camera works to show any leaks and or cracks in underground pipes. Program participants were excited to learn about the travel involved with working on the private side of the water industry, and the certifications and licenses needed to do certain jobs in the water industry. Program participants learned how to flush Chlorinates reservoirs and main lines as needed. 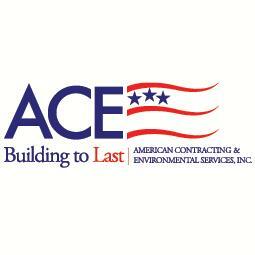 How water technicians assist in installing, maintaining and repairing water distribution and wastewater systems, including pipelines, taps, laterals, valves, meter services, fire hydrants and related appurtenances and treatment plant equipment. It was explained to the youth how water technicians learns and assists in repairing, rebuilding and installing sewage pumps, natural gas engines, a variety of electric and gas driven air compressors, handling units and associated equipment and basic routine preventative maintenance. DeAndre: "At this point, I've worked a couple jobs and now I'm ready to find something stable. I want to go to work every day and do a job I love." President Tim Wolfe and Anthony Greene from the Mayor's Office of Employment Development (MOED) attending the American Public Works Association Road-E-O. CWEA President Tim Wolfe and Anthony Greene from the Mayor's Office of Employment Development (MOED) on a tour of the Eastern Avenue Pumping Station with the 2015 participants of the Baltimore Water Industry Monitoring Program. 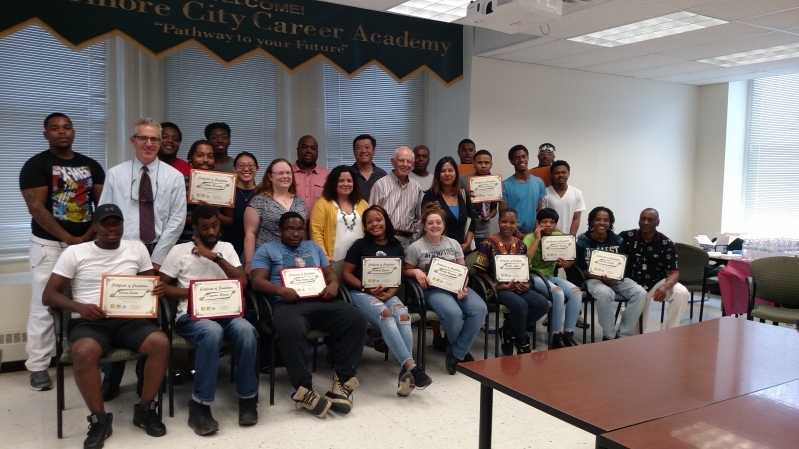 The Program is a joint effort between CWEA, Baltimore Department of Public Works, MOED and Big Brothers and Big Sisters of the Greater Chesapeake to prepare Baltimore City youth between the ages of 17 and 24 for a career in the Water Industry. Big Brothers Big Sisters of the Greater Chesapeake and CWEA join together for a lunch & learn session to help recruite coaches for the program. 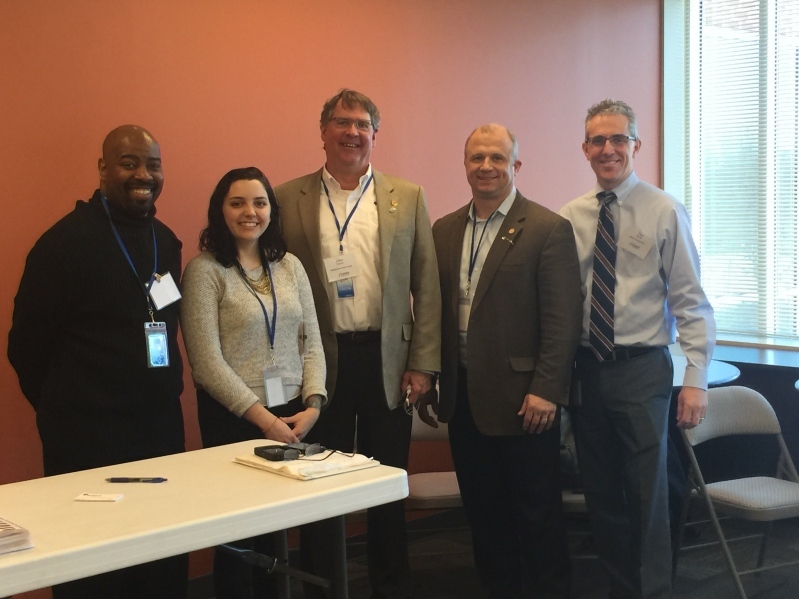 Leon Henry, Director of Outreach for Big Brothers Big Sisters of the Greater Chesapeake, Brooke Carlton, Outreach Coordinator for BBBS, John Fletcher, Kraig Moodie and Tim Wolfe.